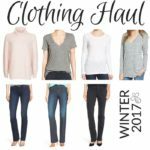 I’ve been talking about how much I love the fall season in my WIR posts. Everything from the beautiful changes in nature and the cooler weather to the return of tasty warming comfort food is high on my list of autumn loves. Another item that ranks pretty high on that list? Pulling out my Mulberry Alexa satchel bag. I bought this beauty during my first visit to a Mulberry shop last August when Don and I were in San Francisco for a wedding. It’s been my official go-to fall cross-body bag ever since. I paid a pretty penny for this bag, which is reflected in the superior quality of the leather and construction. This is one of those timeless pieces that I know I will look forward to pulling out every autumn for a long time to come. The beautiful polished buffalo leather feels like butter. If you’re a leather bag lover like me then you will understand how alluring the scent of a high quality leather piece like this one can be! The oaky light brown color adds to the casual luxurious feel of the bag. I love how this color offsets the soft gold hardware. 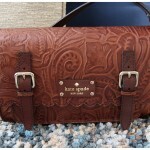 This is the quintessential fall bag to me! The quality of craftsmanship is ever apparent from the beautiful stitching both inside and out. The gorgeous braided leather handle is what made the bag catch my eye in that shop at first glance. I also love how the inside of the fold-over flap of the bag is left unlined with a beautiful suede finish. 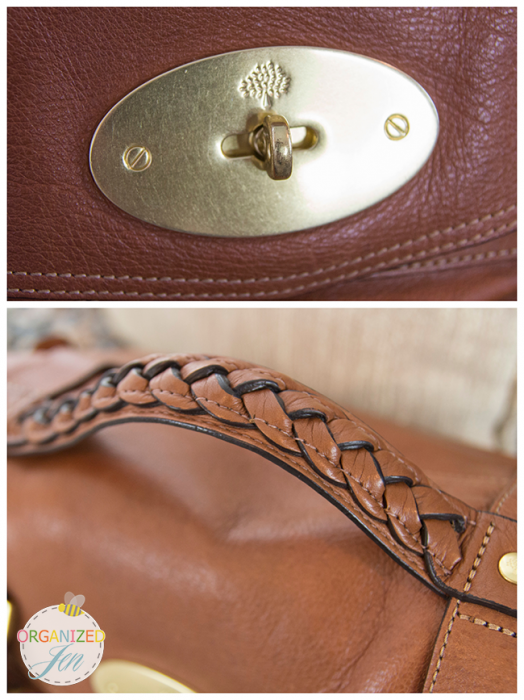 The main bulk of the bag is lined in a fabric printed with Mulberry’s signature tree insignia. Every part of the bag flows seamlessly into each other, giving it that sense of casual luxury I mentioned before. I just know this bag will age beautifully! While there is a large inner zip pocket lining the back of the bag’s interior and a phone-sized slip pocket in the front, there isn’t much in terms of built in structured organization. Although the gorgeous soft leather was one of the main selling points for me, it does have a tendency to make the bag a bit more on the slouchy side. I found it a bit difficult to easily access the bag’s contents due to this slouchy nature. I solved this problem by placing most of my purse contents into one of Sonia Kashuk’s limited edition Completely Organized Grande cosmetic bags (which I reviewed not too long ago here), available this fall at Target. This bag fits inside the Alexa like a glove with just enough room to tuck my Louis Vuitton Insolite Wallet (complete with my Mesa Dreams custom wrist strap!) in as well. 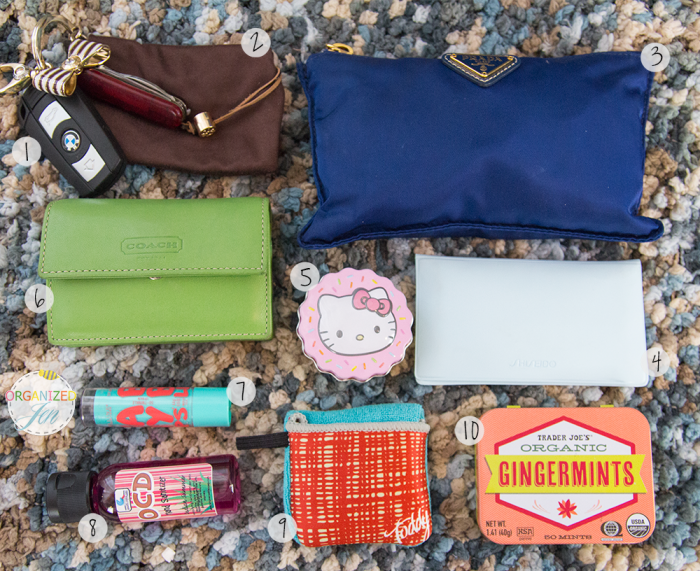 I keep house keys and extra poopy bags in the Alexa’s back zip pocket and my phone and current lip product in the front slip pocket. 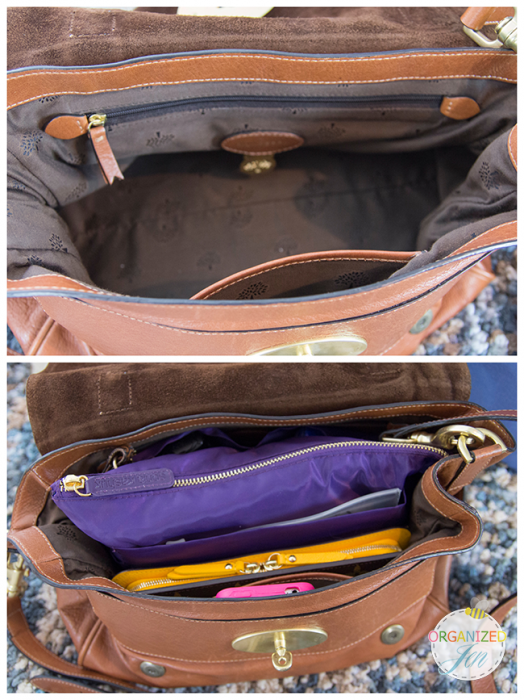 Everything else gets tucked into the Completely Organized Grande, which has many pockets, both inside and out. The small front zip houses, you guessed it, even more poopy bags (as a dog owner you really can’t be too prepared in that department). 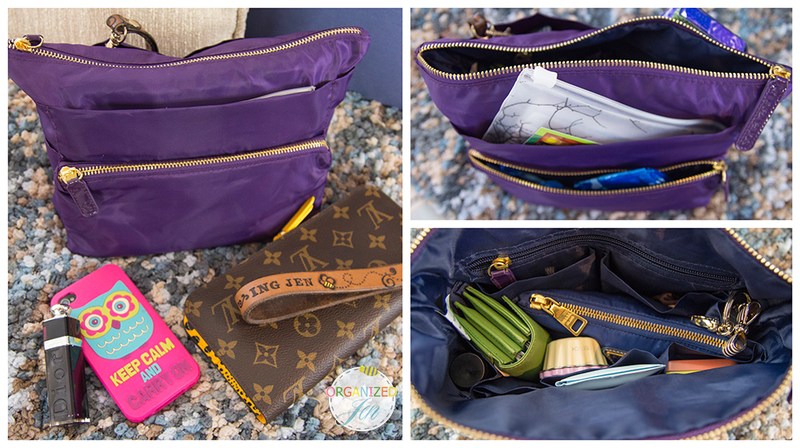 My coupon pouch fits perfectly into the front slip pocket of the cosmetic bag. There are two slip pockets on the back of the bag that hold my business card case and vlogging camera for easy access. 2. My Tori Burch sunglass soft pouch, perfect for storing on the go. 3. My small Walking Pharmacy pouch filled with all of my in-a-pinch items. 4. Shiseido Pureness Oil-Control Blotting Paper, a must have for oily skin problems. 5. Small tin filled with treats for my pup, Winnie. 6. A Coach card case I picked up at the outlet many, many years ago filled with gift cards, reward program cards, and store credit cards. 7. Maybelline Babylips, my lip balm of choice. 8. Fortune Cookie Soap OCD Hand Sanitizer (the best in my opinion!). 9. My ToddyGear Pocket Toddy, excellent for cleaning device screens and glasses. 10. My favorite Ginger Mints from Trader Joe’s. 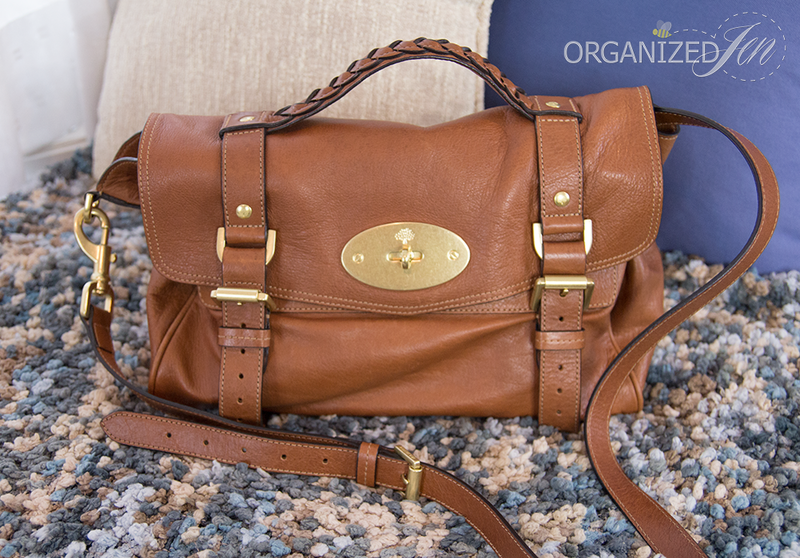 The Completely Organized Grande acts as the perfect purse organizer for my Mulberry Alexa. A place for everything and everything in its place – just the way I like it! 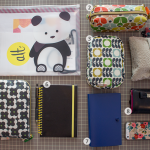 I hope you enjoyed this look into my current bag obsession. I’ll probably stick to using my Alexa for the next month or so, but once I change out to a new bag I will post a Bag Buzz update. I have been wanting this bag ever since you showed it last year! Do you think this bag would patina as time goes on? Also, could you start posting pictures of you carrying the bag, that way we could have a better sense of how it looks on you. Hmm, I haven’t quite figure out how to photograph myself unless I’m using my iphone…maybe just an iphone pic will suffice for this tho? I was obsessing over the Willow Tote Oxblood I saw in Vogue’s September issue, at least until I realized how much it cost. I’ll definitely go check out some other bags from Mulberry though, especially the Alexa; its adorable! Looks like the perfect satchel. Great post Jen! This bag is absolutely gorgeous! I cannot wait until I can eventually invest in a luxury handbag. This is beautiful. Thanks for sharing, Jen! Holy Smokes!!! I ABSOLUTELY want this bag, actually there are probably three bags that you have shown that I want and three wallets. LOL!! I feel in love with this bag last year when you talked about it in your video. I think you are absolutely right it’s a “timeless piece” that you will have for a very long time. I am actually starting a purse and wallet fund (piggy bank). Thank you for sharing!!! P.S. The price did go up, I remember it being less, when you first showed it. Yup, the bag went up in price. There has been some discussion on The Purse Forum about how all Mulberry prices have skyrocketed as of late. This is a gorgeous bag but it would be great to see it on to get a sense of scale. Thanks for sharing. Yes, others have requested that as well. I will make sure to include pics of me wearing my bags in future Bag Buzz posts. Jen what section in Target do you find the Toddy cloths? I never see them when I go in there. I have a quick question: your coach-card-case…does it have seperate (plastic) pockets for your cards or is it just one big compartment? How do you organise your store-credit cards. I find myself not using them as much because I cannot remember which cards I have – and at the checkout line I tend to forget about them. Do you have any tips? That card case has built in dividers, but no plastic pockets. I find that most stores that have a rewards program will ask if you’re a member when you’re checking out, which is a helpful reminder. I just found the Sonia Kashuk’s limited edition Completely Organized Grande purple cosmetic bag on clearance at Target for $8.48, down from $16.99. They didn’t have many left, but it looks like the whole fall collection in different sizes is now on clearance, so hurry if you want one! one of the petite sizes for $6.48 (regularly 12.99)!!! I was just going to post that I snagged ALL THREE Kashuk bags at 50% off yesterday! I was so inspired that I grabbed a cute new fall Mossimo bag too, now I’m (almost!) Organized Like Jen! Using the smaller blue Completely Organized for my first-ever walking pharmacy! I bought this bag and can say that I wasnt very inpressed with it, yes its Mulberry and leather but I didnt like the look, unless the bag is stuffed full it looks very sloppy. I put the bag up for a year thinking I might change my mind but reolized last week that I will never use it. I put the bag up for sale and it sold in 2 days. It definitely has a more slouchy feel.